Encyclical "Lumen fidei", begun by Pope Benedict XVI for the Year of Faith published. Faith is not an "illusion of light", but awareness of the love of God in history. "Since God is reliable, it is reasonable to have faith in Him, to base our certainties on His Word." Faith is linked to truth and love, a “way" for those who do not believe, is "to serve the common good." Vatican City (AsiaNews) - Faith is "the" answer to a world in which "truth" is reduced to what is scientifically verifiable, while everything else is relegated to personal beliefs, in which there is no place for But Truth itself, the truth which would comprehensively explain our life as individuals and in society, is regarded with suspicion. " Faith is "the light" that opens us up to an encounter with God's original and "reliable" love, which gives meaning and goodness to our lives, therefore, "capable of enhancing the richness of human relations, their ability to endure, to be trustworthy, to enrich our life together. " It does not draw us away from the world or prove irrelevant to the concrete concerns of the men and women of our time. Without a love which is trustworthy, nothing could truly keep men and women united. Human unity would be conceivable only on the basis of utility, on a calculus of conflicting interests or on fear, but not on the goodness of living together, not on the joy which the mere presence of others can give". It begins with an observation: faith which was once "a light that illumines an entire journey" but In modernity, that light might have been considered sufficient for societies of old, but was felt to be of no use for new times, for a humanity come of age, proud of its rationality and anxious to explore the future in novel ways". That, indeed, faith would be "an illusion of light", " a leap in the dark, to be taken in the absence of light, driven by blind emotion, or as a subjective light, capable perhaps of warming the heart and bringing personal consolation, but not something which could be proposed to others as an objective and shared light which points the way". "There is an urgent need, then, to see once again that faith is a light, for once the flame of faith dies out, all other lights begin to dim. The light of faith is unique, since it is capable of illuminating every aspect of human existence. (No. 2). "The recovery starts from Abraham, "the father of our faith." He heard the word of God, responded to his call, he trusted His promise. And " God's word, while bringing newness and surprise, is not at all alien to Abraham's experience. In the voice which speaks to him, the patriarch recognizes a profound call which was always present at the core of his being ( No. 11). " " The God who asks Abraham for complete trust reveals himself to be the source of all life. Faith is thus linked to God's fatherhood, which gives rise to all creation; the God who calls Abraham is the Creator, the one who "calls into existence the things that do not exist" (Rom 4:17), the one who "chose us before the foundation of the world... and destined us for adoption as his children" (Eph 1:4-5) (No. 11). " Abraham, therefore, trusts in God and " Jesus is the complete manifestation of God's reliability" " the life of Jesus now appears as the locus of God's definitive intervention, the supreme manifestation of his love for us.." " Our culture has lost its sense of God's tangible presence and activity in our world. We think that God is to be found in the beyond, on another level of reality, far removed from our everyday relationships. But if this were the case, if God could not act in the world, his love would not be truly powerful, truly real. "(n. 17). The Resurrection, however, makes Jesus a "reliable witness" of God's action in history. For this "we believe in Jesus" and "we believe in Jesus" receiving Him. Through faith, the man is saved, because it opens to a Love that precedes it and turns it inside. "Those who believe come to see themselves in the light of the faith which they profess: Christ is the mirror in which they find their own image fully realized. And just as Christ gathers to himself all those who believe and makes them his body, so the Christian comes to see himself as a member of this body, in an essential relationship with all other believers. The image of a body does not imply that the believer is simply one part of an anonymous whole, a mere cog in great machine; rather, it brings out the vital union of Christ with believers, and of believers among themselves (cf. Rom 12:4-5) Christians are "one" (cf. Gal 3:28), yet in a way which does not make them lose their individuality; in service to others, they come into their own in the highest degree"(n. 22). Outside the presence of the Spirit, it is impossible to profess the Lord. Thus, "Faith is necessarily ecclesial; it is professed from within the body of Christ as a concrete communion of believers. It is against this ecclesial backdrop that faith opens the individual Christian towards all others." (n. 22). Thus, "faith is not a private matter, an individualistic conception, a subjective opinion". But "there is no faith without truth." The link between faith and the truth begins with the affirmation "Because God is trustworthy, it is reasonable to have faith in him, to stand fast on his word." " Today more than ever, we need to be reminded of this bond between faith and truth, given the crisis of truth in our age. In contemporary culture, we often tend to consider the only real truth to be that of technology: truth is what we succeed in building and measuring by our scientific know-how, truth is what works and what makes life easier and more comfortable. Nowadays this appears as the only truth that is certain, the only truth that can be shared, the only truth that can serve as a basis for discussion or for common undertakings. Yet at the other end of the scale we are willing to allow for subjective truths of the individual, which consist in fidelity to his or her deepest convictions, yet these are truths valid only for that individual and not capable of being proposed to others in an effort to serve the common good. But Truth itself, the truth which would comprehensively explain our life as individuals and in society, is regarded with suspicion. Surely this kind of truth - we hear it said - is what was claimed by the great totalitarian movements of the last century, a truth that imposed its own world view in order to crush the actual lives of individuals. In the end, what we are left with is relativism, in which the question of universal truth - and ultimately this means the question of God - is no longer relevant. It would be logical, from this point of view, to attempt to sever the bond between religion and truth, because it seems to lie at the root of fanaticism, which proves oppressive for anyone who does not share the same beliefs. In this regard, though, we can speak of a massive amnesia in our contemporary world. The question of truth is really a question of memory, deep memory, for it deals with something prior to ourselves and can succeed in uniting us in a way that transcends our petty and limited individual consciousness. It is a question about the origin of all that is, in whose light we can glimpse the goal and thus the meaning of our common path"(n. 25). "This being the case, can Christian faith provide a service to the common good with regard to the right way of understanding truth?". The answer lies in the fact that faith is bound to truth and love, not as "a feeling that comes and goes," but as the great love of God that transforms us from within and gives us new eyes to see the reality . "Faith-knowledge, because it is born of God's covenantal love, is knowledge which lights up a path in history. That is why, in the Bible, truth and fidelity go together: the true God is the God of fidelity". So "love and truth can not be separated" (n. 27), because only true love stands the test of time and becomes a source of knowledge. And since the knowledge of the faith is born from God's fidelity "truth and loyalty go together." Today, however, the truth "is often reduced to the subjective authenticity of the individual, valid only for the life of the individual. A common truth intimidates us, for we identify it with the intransigent demands of totalitarian systems. But if truth is a truth of love, if it is a truth disclosed in personal encounter with the Other and with others, then it can be set free from its enclosure in individuals and become part of the common good. As a truth of love, it is not one that can be imposed by force; it is not a truth that stifles the individual. Since it is born of love, it can penetrate to the heart, to the personal core of each man and woman. Clearly, then, faith is not intransigent, but grows in respectful coexistence with others. One who believes may not be presumptuous; on the contrary, truth leads to humility, since believers know that, rather than ourselves possessing truth, it is truth which embraces and possesses us. Far from making us inflexible, the security of faith sets us on a journey; it enables witness and dialogue with all."(n. 34). On the other hand, the light of faith, as linked to the truth of love, is not alien to the material world. "It also illumines the material world, trusts its inherent order and knows that it calls us to an ever widening path of harmony and understanding. The gaze of science thus benefits from faith: faith encourages the scientist to remain constantly open to reality in all its inexhaustible richness. Faith awakens the critical sense by preventing research from being satisfied with its own formulae and helps it to realize that nature is always greater. By stimulating wonder before the profound mystery of creation, faith broadens the horizons of reason to shed greater light on the world which discloses itself to scientific investigation. "(n. 34). Faith, therefore, as a "way", which, for this reason "lso has to do with the lives of those men and women who, though not believers, nonetheless desire to believe and continue to seek. To the extent that they are sincerely open to love and set out with whatever light they can find, they are already, even without knowing it, on the path leading to faith. They strive to act as if God existed, at times because they realize how important he is for finding a sure compass for our life in common or because they experience a desire for light amid darkness, but also because in perceiving life's grandeur and beauty they intuit that the presence of God would make it all the more beautiful."(n. 35). And since "faith is a light, it draws us into itself, inviting us to explore ever more fully the horizon which it illumines, all the better to know the object of our love "(n. 36). It, then, "shares the ecclesial form of faith." "This implies, on the one hand, that theology must be at the service of the faith of Christians, that it must work humbly to protect and deepen the faith of everyone, especially ordinary believers. 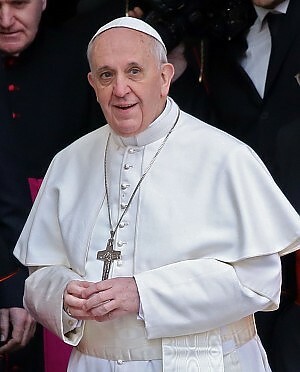 On the other hand, because it draws its life from faith, theology cannot consider the magisterium of the Pope and the bishops in communion with him as something extrinsic, a limitation of its freedom, but rather as one of its internal, constitutive dimensions, for the magisterium ensures our contact with the primordial source and thus provides the certainty of attaining to the word of Christ in all its integrity. "(n. 36). This also applies to evangelism. Who is open to the love of God, "can not keep this gift for his or herself." It travels through time, passing from one generation to another." So there is a link between faith and memory, because the love of God holds together all of time. And it is "impossible to believe by ourselves," because faith is not "individual option" it opens the self to the "we" and is always "in the communion of the Church." This is why "those who believe are never alone." A "special means" for the transmission of the faith are the sacraments. "in them the whole person is engaged as a member of a living subject and part of a network of communitarian relationships. While the sacraments are indeed sacraments of faith, it can also be said that faith itself possesses a sacramental structure. "(n. 40). And the faith is "one", first of all "because of the oneness of the God who is known and confessed," "because it is directed to the one Lord, to the life of Jesus, to the concrete history which he shares with us," "because it is shared by the whole Church, which is one body and one Spirit "(n. 47). And "since faith is one, it must be professed in all its purity and integrity. Precisely because all the articles of faith are interconnected, to deny one of them, even of those that seem least important, is tantamount to distorting the whole. " "As a service to the unity of faith and its integral transmission, the Lord gave his Church the gift of apostolic succession. Through this means, the continuity of the Church's memory is ensured and certain access can be had to the wellspring from which faith flows."(n. 48). Faith, then, thanks to its connection with love, "is concretely placed at the service of justice, law and peace. Faith is born of an encounter with God's primordial love, wherein the meaning and goodness of our life become evident". "The light of faith is capable of enhancing the richness of human relations, their ability to endure, to be trustworthy, to enrich our life together. Faith does not draw us away from the world or prove irrelevant to the concrete concerns of the men and women of our time. Without a love which is trustworthy, nothing could truly keep men and women united. Human unity would be conceivable only on the basis of utility, on a calculus of conflicting interests or on fear, but not on the goodness of living together, not on the joy which the mere presence of others can give. Faith makes us appreciate the architecture of human relationships because it grasps their ultimate foundation and definitive destiny in God, in his love, and thus sheds light on the art of building; as such it becomes a service to the common good. Faith is truly a good for everyone; it is a common good. Its light does not simply brighten the interior of the Church, nor does it serve solely to build an eternal city in the hereafter; it helps us build our societies in such a way that they can journey towards a future of hope "(No. 51). "The first setting in which faith enlightens the human city is the family. I think first and foremost of the stable union of man and woman in marriage". "In the family, faith accompanies every age of life, beginning with childhood: children learn to trust in the love of their parents. This is why it is so important that within their families parents encourage shared expressions of faith which can help children gradually to mature in their own faith. Young people in particular, who are going through a period in their lives which is so complex, rich and important for their faith, ought to feel the constant closeness and support of their families and the Church in their journey of faith. "(n. 53). But faith " becomes a light capable of illumining all our relationships in society. As an experience of the mercy of God the Father, it sets us on the path of brotherhood". "As salvation history progresses, it becomes evident that God wants to make everyone share as brothers and sisters in that one blessing, which attains its fullness in Jesus, so that all may be one.." And thanks to the faith that "we understand the unique dignity of the individual." "At the heart of biblical faith is God's love, his concrete concern for every person, and his plan of salvation which embraces all of humanity and all creation, culminating in the incarnation, death and resurrection of Jesus Christ. Without insight into these realities, there is no criterion for discerning what makes human life precious and unique. Man loses his place in the universe, he is cast adrift in nature, either renouncing his proper moral responsibility or else presuming to be a sort of absolute judge, endowed with an unlimited power to manipulate the world around him"(n. 54). Faith also makes us respect nature more, "to discern in it a grammar written by the hand of God and a dwelling place entrusted to our protection and care". 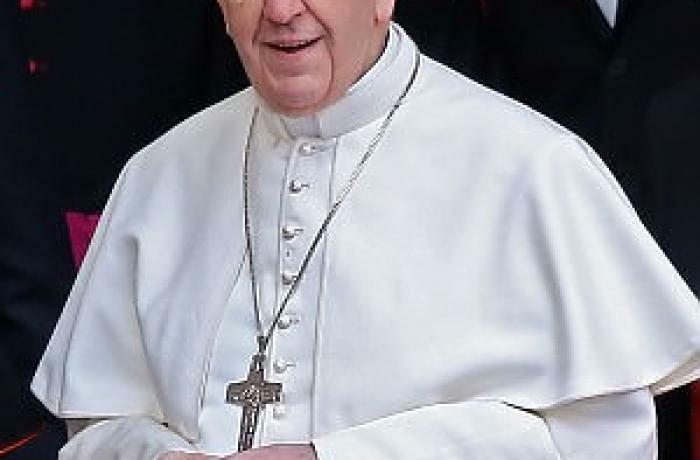 Faith also helps us to devise models of development which are based not simply on utility and profit, but consider creation as a gift for which we are all indebted; it teaches us to create just forms of government, in the realization that authority comes from God and is meant for the service of the common good. Faith likewise offers the possibility of forgiveness, which so often demands time and effort, patience and commitment. Forgiveness is possible once we discover that goodness is always prior to and more powerful than evil, and that the word with which God affirms our life is deeper than our every denial (n. 55). And "When faith is weakened, the foundations of humanity also risk being weakened." The Christian, then, "Christians know that suffering cannot be eliminated, yet it can have meaning and become an act of love and entrustment into the hands of God who does not abandon us; in this way it can serve as a moment of growth in faith and love. By contemplating Christ's union with the Father even at the height of his sufferings on the cross (cf. Mk 15:34), Christians learn to share in the same gaze of Jesus. Even death is illumined and can be experienced as the ultimate call to faith"(n. 56). "Faith is not a light which scatters all our darkness, but a lamp which guides our steps in the night and suffices for the journey. To those who suffer, God does not provide arguments which explain everything; rather, his response is that of an accompanying presence, a history of goodness which touches every story of suffering and opens up a ray of light"(. 57).